Easter is early this year but it looks like we will have great weather! South Orange and Maplewood are home to a plethora of great restaurants for celebrating the holiday, but as you know, the NJ Transit is close by if you want to venture into New York City for Easter. Whether you have young children or are just looking to celebrate the holiday with friends, Third & Valley has you covered for ideas on how to celebrate this Sunday. There are some amazing NYC cruises which leave from Weehawken, New Jersey and offer a Sunday Easter Brunch. You can drive ot take the train to these cruises, either way it’s only around a 20 minute trip from South Orange. If you buy tickets ahead of time you can find great deals too! Who wouldn’t want to spend a lovely spring day cruising the Hudson with mimosas, a brunch buffet and their family? If you didn’t make reservations this year, mark it in your calendar for 2017 when you call Third & Valley home! If you’re looking for something a little more adventurous this year, you can join hundreds of others at the “Full Bunny Contact” in NYC where there will be a ton of Easter festivities going on. 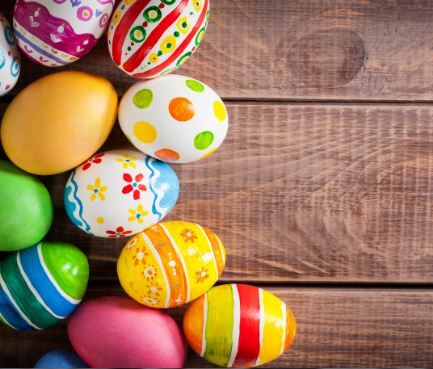 This adult Easter Egg Hunt is a unique way to spend the holiday and something you’ll probably only find in NYC, less than an hour from us here at Third & Valley. Winners of Full Bunny Contact get awesome prizes, but you’ll have to check out their website to get the real details!